Reporting directly to the Independent Steering Committee, the Board is responsible for putting in place the structures necessary to manage the project and deciding upon all operational matters. This includes progressing the project’s day to day research objectives and monitoring progress. The Management Board also nominates and appoints members of the Independent Steering Committee, International Scientific Advisory Panel and Industrial Leadership & Opportunities Panel. The ISC is important in order to provide that balance between the academic interests and the industrial interests, and make sure it’s [the ORCA Hub] really fulfilling its mission in delivering the impact for a future autonomous offshore industry. The purpose of the Committee is to guide the strategic direction of the Hub, to resolve any conflicts and to monitor progress against scientific, innovation and responsible research benchmarks. The Committee looks specifically at the Hub’s development and research strategy, as well as the commercial exploitation of the research conducted through the project. The Independent Steering Committee receives regular reports from the Management Board, International Scientific Advisory Panel, and Industrial Leadership and Opportunities Panel. Robotics plays a key part in the future of oil and gas, or energy in the UK…How do we really change the way we work for the future, and transform our energy industry forever? ILOP is responsible for providing guidance relating to the Hub’s test and demonstration activities in each capability challenge as well as leading road-mapping and organising annual open calls for new research and innovation elements for the Hub’s activities. It also looks to identify any non-relevant parts of the project from an industrial viewpoint. The Panel’s primary function is to bring industrial representation to the core of the Hub management structure and to provide input to the translation of research outcomes into industrial applications and commercial opportunities. Industry is actually engaged with the hub. So it’s not just waiting for its results, it's actually working to produce those results through the life of the hub. ISAP guides the scientific direction of the Hub, assures the quality of the project’s scientific outputs and makes recommendations on scientific areas of research of relevance to the Hub’s activities. It is also responsible for identifying underperforming or non-relevant parts of the project from a scientific viewpoint. 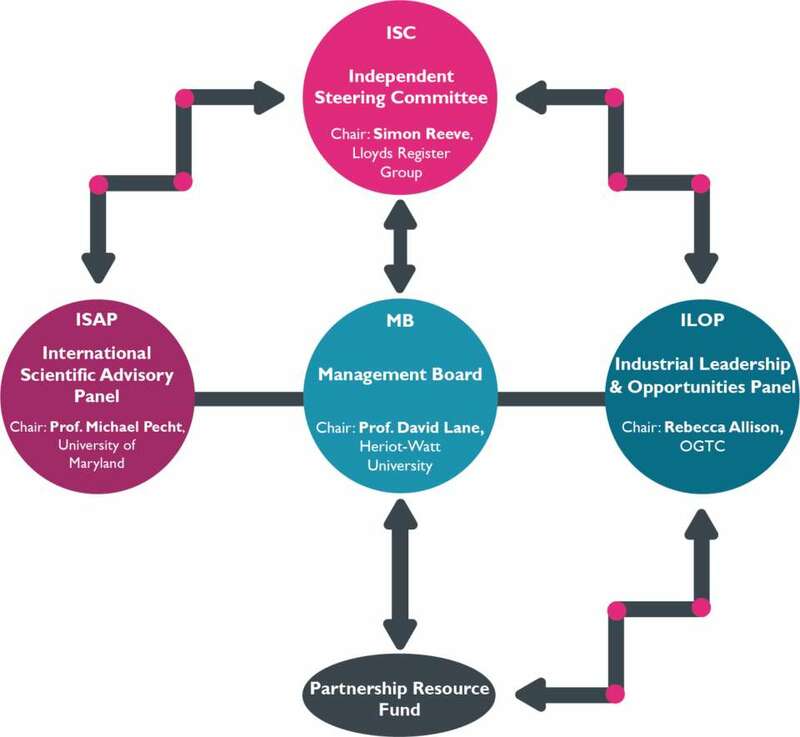 ISAP’s primary objective is to bring scientific representation to the core of the Hub management structure and provide scientific input to the creation of research outcomes with potential for industrial applications and commercial opportunities. The Panel takes into account guidance from the Independent Steering Committee to which it reports, as well as the strategic direction of the project and the strategic objectives of the Industrial Strategy Challenge Fund. Prof. Pecht is supported by 25 internationally renowned academics from across a wide range of expertise. ORCA Hub represents an unprecedented effort to use Robotics and AI to revolutionise Asset Integrity Management in the offshore energy sector to enable cheaper, safer and more efficient working practices and a move towards a fully autonomous offshore energy field, operated, inspected and maintained from the shore.